St. George’s Market, Belfast is somewhat of an institution in this city. Built in the late 1800s, it now boasts three market days. Friday is the 'variety market' and is always very popular with people going to buy fresh fish and seafood. Saturday is the ‘city food and craft market’ which is a food heaven for anyone who has watched one too many episodes of Man vs Food! The Sunday Market is a combination of the Friday and Saturday markets - lots of fresh produce, food, live music and crafts. Sunday is always busy with tourists and locals alike as it gives a real sense of the amazing products we have on offer. I recently went to the Sunday market and picked some of my favourite traders which you must visit at the market. When passing Sew Personal, my inner child came out and it was impossible for me not to stop and have a look. 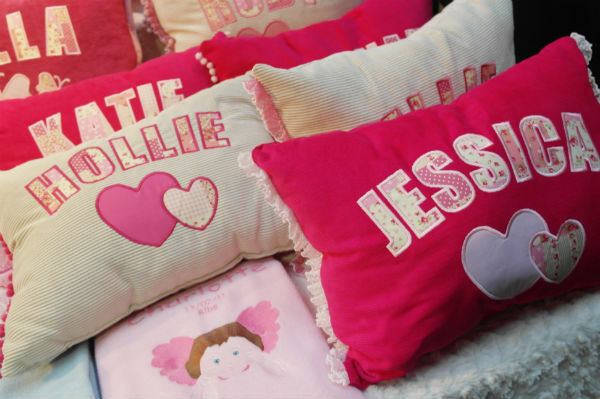 Founded in 2011 as a way to create a viable way to make a business from her sewing talents, owner Paula makes the cutest personalised blankets, cushions and bunting which would be a hit with big kids (like me!) and makes beautiful gifts for newborn babies. 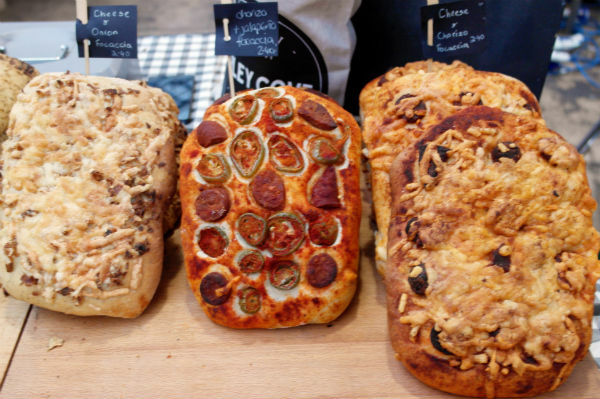 Focaccia Breads from Barley Cove struck me on my way past as I always have huge admiration for people who make bread. It is not an easy process and the bread at Barley Cove is as delicious as it looks. From a classic big crusty to breads with cheese and jalapenos, the business has been going since 2010 and stocks two of Belfast’s most popular delis: Sawyers and Arcadia. You can find the delicious Barley Cove breads at St. George’s every Saturday and Sunday. 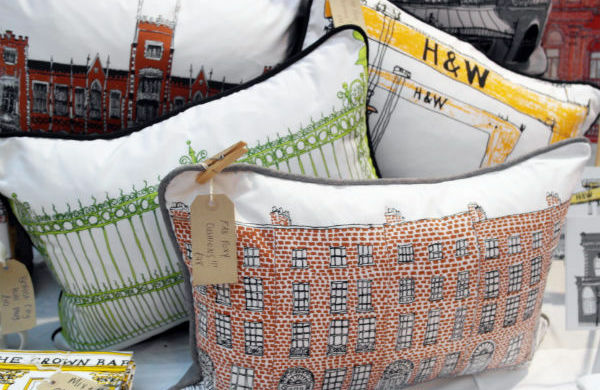 Like Belfast Times, Flax Fox also sells wares boasting some of Belfast’s iconic buildings but the Flax Fox items are hand drawn and printed, making them look really ornate. From cool tea towels to stunning cushions baring Queen’s University and Trinity College Dublin, I can’t wait to have my own house to adorn it with Flax Fox goodies! You can also find Flax Fox at Queen’s University Belfast Gift Shop, Titanic Visitor Centre and the Ulster Museum. 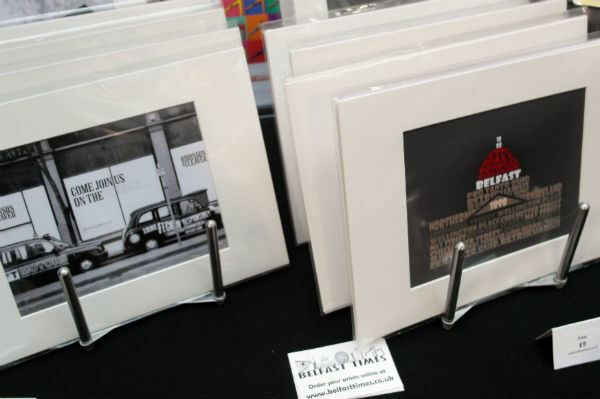 Jeff is a fellow City Guide blogger (and social media junkie) and at the weekends he can be found selling his funky typography Belfast designs at his market stall. From coasters with iconic Belfast landmarks such as the City Hall and cards with classic Northern Irish “banter” on them. Jeff sells things which not only appeal to tourists, but to those on home turf who love a bit of a laugh. You can also find Belfast Times stock at: Belfast Welcome Centre, Bangor Tourist Shop and Crumlin Road Gaol. There are so many different food traders that you could spend a week here. There are a range of amazing cupcakes, my favourites being The Lily Pink Bakery and Life is Sweet. 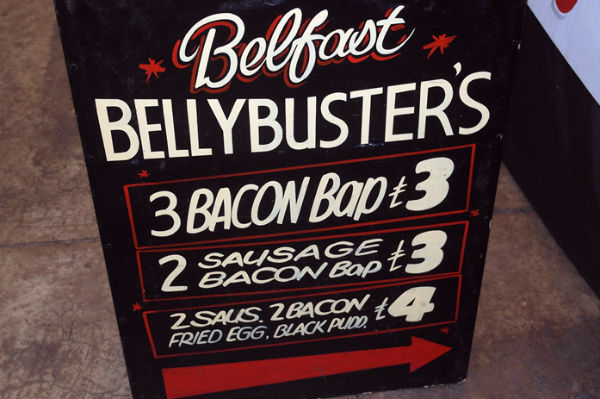 If you are in the mood for something more substantial, the Lazy Goose and Belfast Bellybuster’s seemed to be popular for a good filled soda. There are also a wide variety of international cuisines such as Med-Mex and The Lemon Grove offering everything from burritos to paella. Check out our Belfast shopping deals.